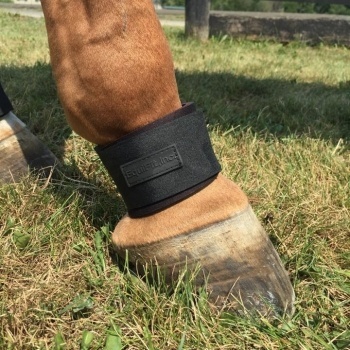 A sensitive area often prone to interference, the Pastern Wrap provides over-reaching and im-pact protection. A streamlined design coupled with a durable open-cell foam material provide effortless protection. The single hook and loop closure is double stitched for increased security. The Pastern Wrap is soft enough to flex with the horse’s natural movement, but tough enough to pro-tect from impact. Non-neoprene material offers breathability and a great solution for horses with neoprene allergies. Washing Instructions: Machine wash on gentle cycle or hose off. Lay flat to dry.